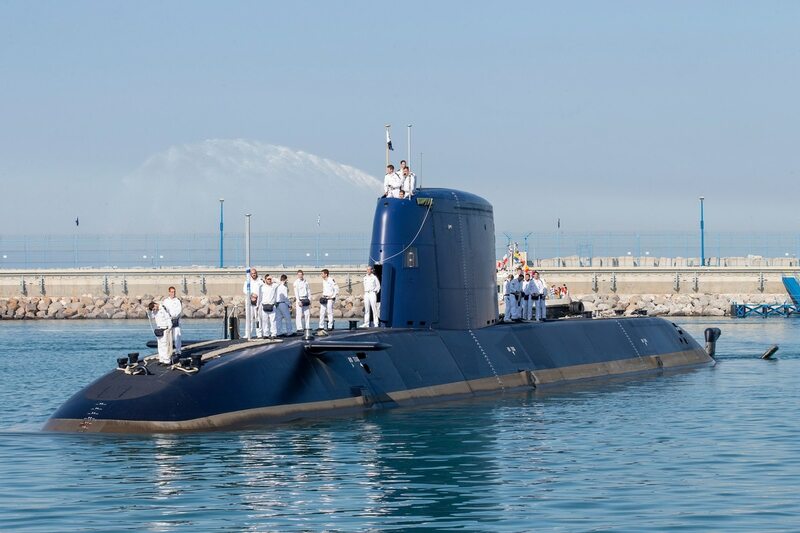 TEL AVIV, Israel ― Israeli Prime Minister Benjamin Netanyahu announced Monday that his government has signed a long-awaited memorandum of understanding with Germany to acquire three new Dolphin-class submarines with air-independent propulsion systems. If the deal goes through, the estimated $1.3 billion acquisition from ThyssenKrupp Marine Systems would replace by the end of the next decade three earlier-model Dolphin diesel-electric submarines, leaving Israel with a strategic underwater force of six front-line submarines, all of them built by the Kiel, Germany-based shipyard. Under the memorandum’s terms, Berlin will subsidize up to 30 percent of the hull, mechanical and electrical costs. Vice Adm. Eliezer Marom, who commanded the Navy from 2007-2011, and David Shimron, Netanyahu’s personal attorney, remain under house arrest after three days of questioning in what is known here as the Case 3000 Affair. Germany’s TKMS shipyard, which produces the submarines and four new Sa’ar 6-class corvette surface ships now under contract, remains the subject of an ongoing Israeli police investigation into suspected criminal offenses involving the shipyard’s Israeli agent, Netanyahu’s personal attorney and senior Israeli officials, including a former National Security Council deputy and a former Israeli Navy commander. While Netanyahu’s statement did not allude to the ongoing scandal, Israeli military sources said the two governments are not expected to consummate the memorandum with an actual signed contract until the conclusion of the parallel probes in Israel and in Germany. Service officials hope to make an assessment next week about the extent of the damage.